The City of Edmonton could be impacted if less water flows into the North Saskatchewan River as a result of less snow and the shrinking Columbia Icefield. The City of Edmonton draws its water supply from the North Saskatchewan River. The source of the North Saskatchewan River is the Columbia Icefield. As global warming progresses, will melting and shrinkage of the Columbia Icefield lead to water shortages for Edmonton? Martin Sharp, a glaciologist and a professor in the Department of Earth and Atmospheric Sciences at the University of Alberta, says that Edmonton could be impacted if less water flows into the North Saskatchewan River, which has its source in the Columbia Icefield. Any changes in the extent and thickness of the Columbia Icefield due to global warming will result in less water in the rivers and tributaries that it feeds, including the North Saskatchewan. 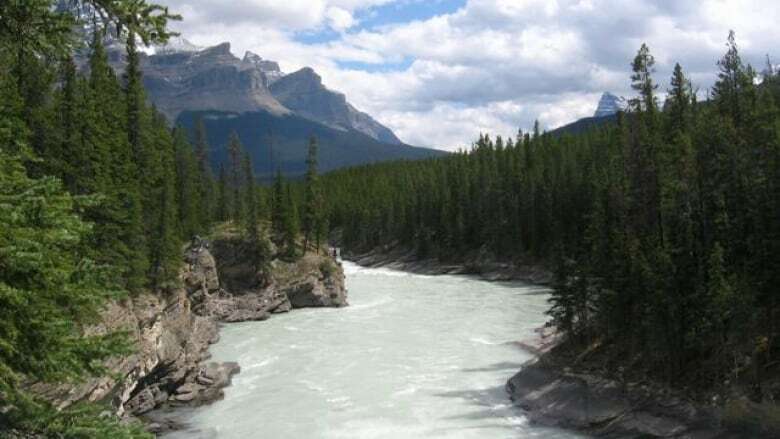 However, the North Saskatchewan River actually collects more water from the melting snowpack on the eastern side of the Rocky Mountain and its foothills. This means that the reduction in the snowpack due to climate change will have a greater impact on the water supply to Edmonton than the melting Columbia Icefield. Because the North Saskatchewan also flows into Saskatchewan and Manitoba, there are inter-provincial agreements that ensure the upstream province to maintain the level of flow. This could mean that at some point, the City of Edmonton would be restricted from using water in order to ensure that the province of Saskatchewan is adequately supplied.